All of the creatures on earth are connected in ways that science is just beginning to understand. It’s easy to recognize the features we share with a mammal like a dog, cow or gorilla. But when it comes to critters like insects, arachnids, and fish, you may think you have little in common. Quite often when researchers need to find a solution to a human problem, they look outside human anatomy to the creatures that also call this planet home. Differences aside, scientists today are exploring the commonalities we share and how they may help us better treat hearing loss. Let’s take a look at three particularly interesting critters that may hold the secret to restoring human hearing. Based on the science we have today, noise-induced loss of hearing cannot be restored naturally. The best we can do is use devices. These include hearing aids to enhance the natural hearing remaining and cochlear implants that act as a substitute for natural hearing. While these devices dramatically enhance the hearing experience, they’re still not a 100% mirror-image of natural hearing. This can be frustrating to hearing aid wearers. The katydid may hold the secret to changing that. The katydid’s ears may be located in its knees, but otherwise, they function very much like human ears. The katydid was the perfect test subject because they have a see-through body in bright light. This allows researchers to humanely magnify the inner workings to study them without causing undue harm to the creature. Scientists are taking advantage of the hearing similarities they share with us to more closely study how the cochlea, the shell-shaped section of your inner ear, works. They hope that they’ll be able to apply what they learn to further improve the artificial hearing experience. 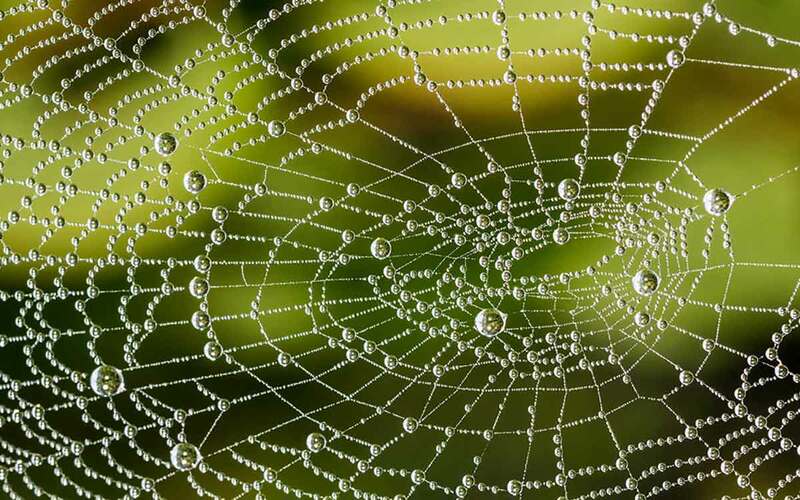 You already knew that spider silk is a pretty neat substance. It’s very thin and yet strong enough that it’s hard to free yourself of the fibers after you walk through a web. But as it turns out, you’re not the only thing passing through the spider silk. The strong, thin material also has the amazing ability to conduct sound. Much like the tiny hairs in your inner ear that vibrate in response to sound waves, allowing you to hear, silk similarly dances in those waves. But it gets even better. Silk can pick up very low frequencies (aka: low pitches) much better than today’s hearing aids can. Scientists are hopeful that they can use what they’ve learned from studying spider silk to create synthetic silk to improve the ability of hearing aids to pick up low-frequency sounds. This would further enhance the hearing aid experience, getting it yet a step closer to natural hearing. Researchers have found an interesting link between zebrafish jaws and the human ear. They believe that the same genetic mutation that causes the malformed jaws in this fish may also be responsible for malformations in the outer and middle ear that lead to a certain kind of conductive hearing loss called AGS (Alagille Syndrome). Conductive hearing loss can be caused by a temporary obstruction like earwax buildup. But it’s more commonly caused by abnormalities that lead to difficulty conducting sound through the ear canal into the inner ear. This is different from sensorineural hearing loss, which is caused by inner ear damage from noise, illness and the natural aging process. But in some people with hearing loss, both are a factor. They are studying how this gene impacted the fish’s jaw formation over time. They’re also looking at how this gene impacts mammals by studying mice with this genetic mutation. Through this research, they’re learning more about how this gene impacts the ear’s formation. As a takeaway, researchers will be able to use this knowledge to develop hearing aids that more effectively work for people with conductive hearing loss. And as genetic medicine advances, for future generations, they may even be able to turn this gene off before it causes the abnormality in the first place. Hearing loss science is fast advancing. The technology-driven industry is changing how people hear. If you’re not getting the hearing experience you desire, it’s time to talk to an audiologist about today’s advanced options for treating hearing loss.